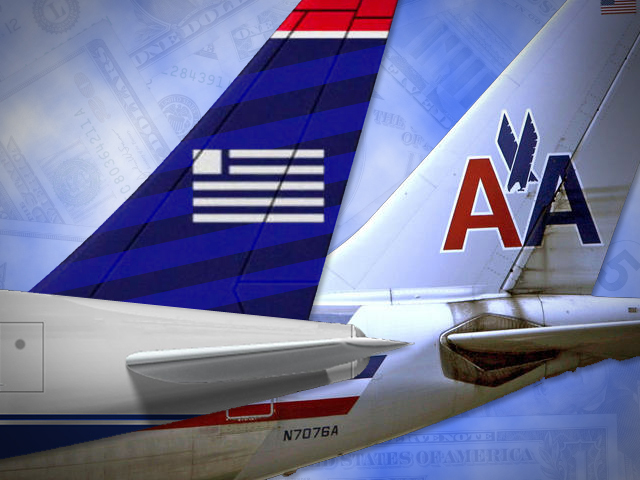 (CBS/AP) NEW YORK - US Airways Group Inc. (LCC) says it is now a creditor of American Airlines parent AMR Corp. (AMR). US Airways said in a filing Thursday in U.S. bankruptcy court that it supports AMR's request for more time to draft a reorganization plan. But US Airways says it could change its mind if AMR, which wants to stay independent, doesn't follow through on a promise to seek alternatives such as a merger. US Airways spokesman John McDonald says his airline paid $600,000 for AMR bonds with a face value of $1 million so that it could participate in the bankruptcy case. AMR filed for Chapter 11 protection in November. Thomas Horton, the CEO of AMR, said in a statement last week that American Airlines was weighing various options, working with its creditors and evaluating potential mergers. US Airways CEO says merger delays "fine by us"